Investing in our community is important to Unruh Turner Burke & Frees. We recently demonstrated our support by participating in Chester County Food Bank’s Volunteer Program. On Friday, July 20th, volunteers spent the morning weeding and harvesting vegetables at Pete’s Produce Farm. Pete’s Produce Farm, located in West Chester, designates over 5 acres of land for the Chester County Food Bank to use to grow produce for the less fortunate members of our community. 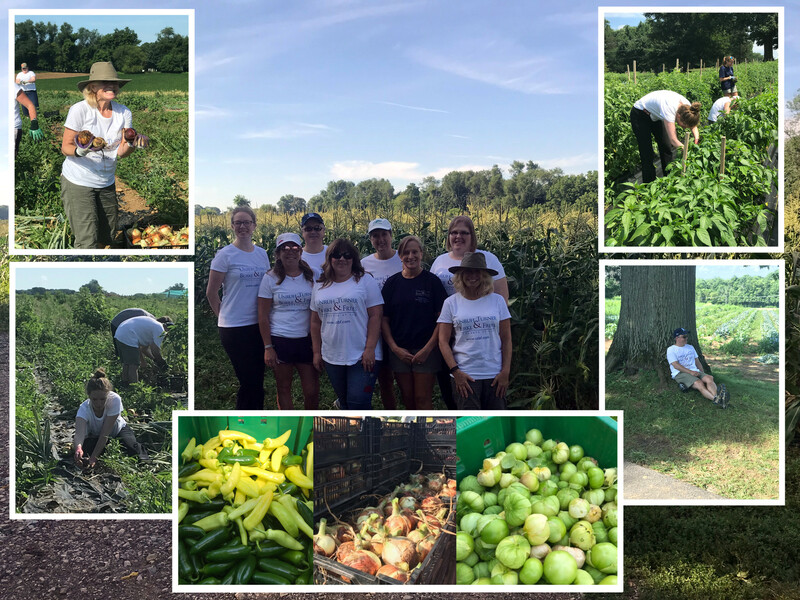 Unruh Turner Burke & Frees staff and attorneys spent the morning harvesting onions, tomatillos, jalapenos and several other varieties of peppers for the Food Bank. The volunteers also assisted with weeding portions of the garden. The produce is distributed through Chester County Food Bank’s Fresh2You Mobile Market and to hunger relief agencies. All of our volunteers enjoyed the activity and learned so much about growing and harvesting vegetables from Chester County Food Bank’s Farmer, Colin Mahoney. For more information on volunteer opportunities through Chester County Food Bank, click here.